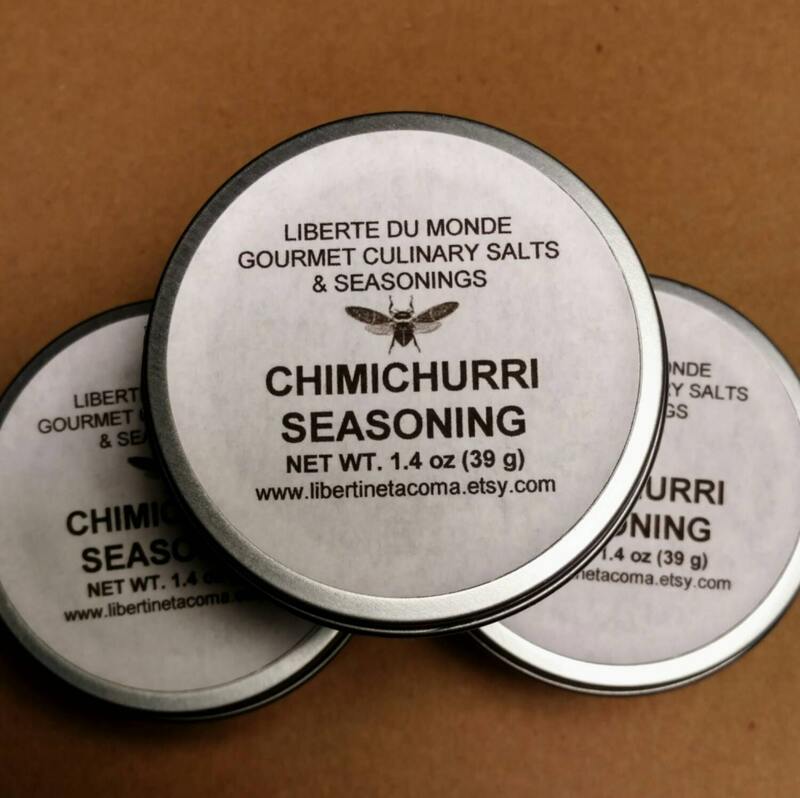 This is a traditional Argentinian meat seasoning that is perfect for those who love herb flavors with a bit of spicy heat! 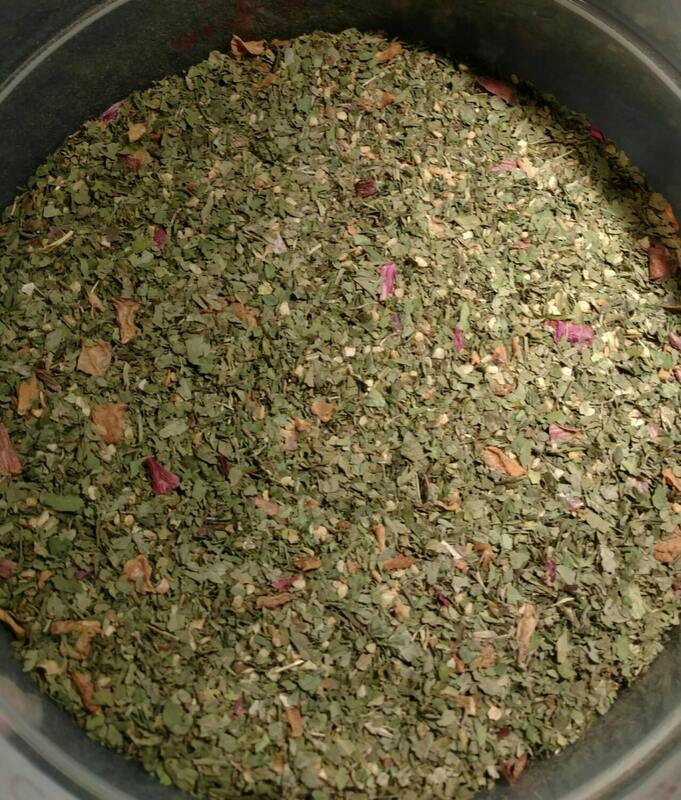 This delightful Blend is packaged in a 4 oz rust resistant steel tin. It includes a simple recipe on the bottom of each tin. 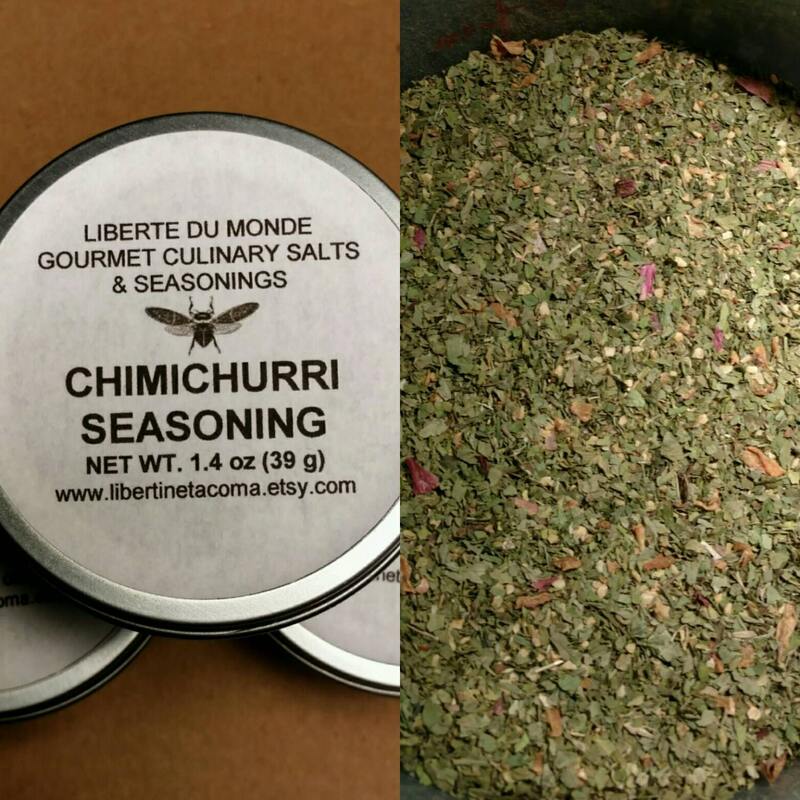 Ingredients: Minced Garlic, Shallots, Himalayan Pink Salt, Cilantro, Parsley, Greek Oregano, Serrano Green Chile Powder. All ingredients are pesticide free and natural.